This TV show is so friggin' whacked out. What started as the dude cooking meth in a van to pay for cancer treatment has just escalated exponentially and turned into this show that gets into the head of this totally warped guy that has lost his mind yet he, his family and even the audience haven't even realised how effed up this guy really is. This guy is so far beyond the line in so many ways that I don't think he can return. Things are only going to get much worse for Walter White before and if they get better. Season 3 has by far been the most intense, unpredictable and most intriguing. The season follows the same blueprint as previous seasons except stuff escalates dangerously. Risks are higher. He's making drugs for the big boys, Jesse's life falls apart, again, but much worse, if that makes sense and worst of all, Walter is losing his family. The reason this all began. Now that I think of it, you could put it easily like this, if you like seasons 1 or 2, you will also enjoy season 3. If you're tiring of it, it's still worth watching. It will only take you 2 or 3 eps to make up your mind. A brilliant show that everyone should at least watch a bit of. Check out the season 3 promo clips. 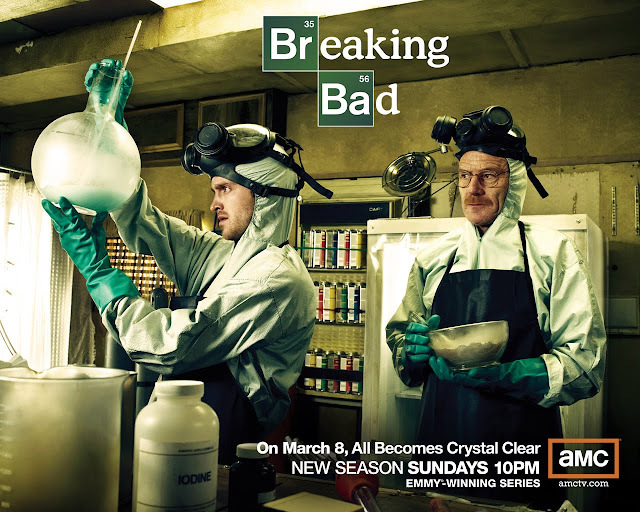 Breaking Bad season four is on the way, and I do watch this show constantly and it rocks! While watching Malcolm in the Middle a while ago and decided to play around with my Google TV, that’s when I discovered Breaking Bad! This show is truly amazing and I’m glad I found it. Being that I am an employee of DISH Network, I got the Logitech Revue with Google TV right when it was released. Now I can’t live without it.